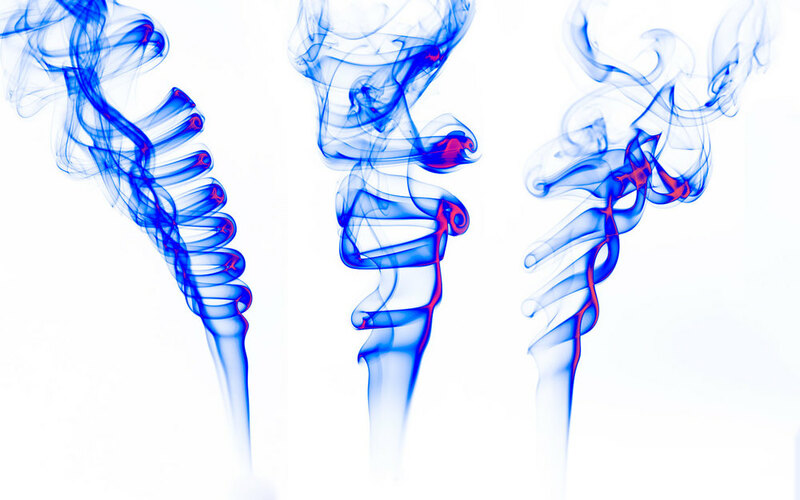 These are photographs of smoke. The colour is added by heat-mapping colour to tones in post-processing. The shapes the smoke twists itself into as it reacts to the eddies in the air created by my hands is fascinating. It weighs so little that even moving towards or away from the smoke during photographing created high and low pressure that would throw the smoke all over the place. It's like putting dye into the air and watching what it does all around you invisibly all the time. Older PostGet Into Someone Else's Moment.